Negotiations between Azerbaijan`s Industry and Energy Minister Natig Aliyev and Georgian Energy Minister NIka Gilauri has been held in Baku today. During the meeting, the both parties exchanged their opinions on future gas operations, Mr. Aliyev exclusively told Trend about it. No documents were signed, told the Azerbaijani Minister. According to him, up to now, Turkey has not informed the Azerbaijani party about its readiness to receive gas from the gas condensate field Shakhdaniz. Turkey told that it could begin to receive the gas only starting from November 15, 2006. 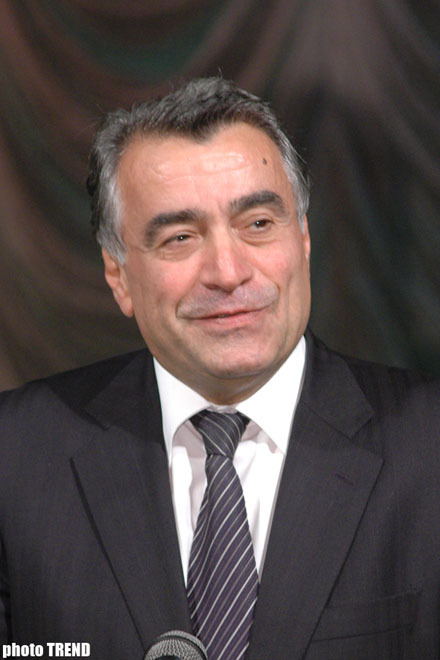 According to informed sources, it is not ruled out that the Georgian delegation will also hold such negotiations with Iran. Last year, after holding up the Russian gas supply to Georgia because of an interruption, Georgia received gas from Iran via the territory of Azerbaijan. This year, Azerbaijan can supply up to 300 m. cubic meters of gas to Georgia from the field Shakhdaniz. The gas will be exported via the South Caucasian Gas Pipeline (SCP), constructed on the territories of Azerbaijan and Georgia. For its part, Turkey is constructing a gas pipeline from the Georgian border to Erzurum that will be a gas distributing point.